Burtons Medical Equipment have been manufacturing, distributing and servicing a core range of medical equipment to the sector for over 30 years. Burtons is still privately owned by the same family that started it, retaining its core values of keeping customer satisfaction as its number one priority, enabling Burtons to quickly become of one of the UK’s leading suppliers of infection control medical products. Burtons Medical designs, manufactures and services a wide range of market leading infection control products including the popular ‘Instaclave’ steriliser range, ‘Instawash’ washer disinfectors and reverse osmosis systems. All of our high quality products are available to purchase, lease or rent. In addition we also provide a nationwide network of service engineers offering full equipment servicing and HTM 01-05 validation. 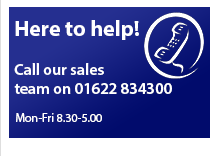 Our sales and service teams, workshop technicians, office administration staff and managers are on hand to help you with any and all enquiries you may have and are dedicated to providing great quality service to all customers whatever their requirements. Why not visit our website today to see our complete range of products or call our sales team for a free catalogue.